An experienced local florist will prepare and deliver a one-of-a-kind basket with fresh fruit that may include apples, pears, or bananas, and gourmet items that may include crackers, cheese, chocolates, or candies. Photo shown online is a representation only. 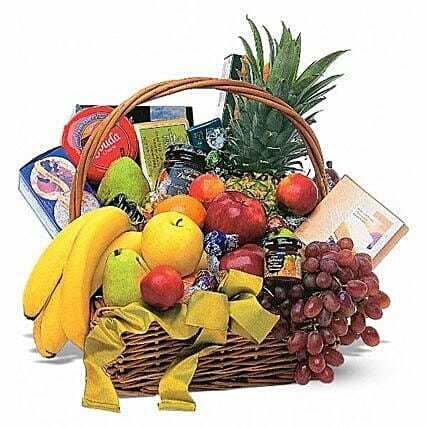 Specific container, ribbon, fruits, and gourmet items shown will change due to local availability or florist choice.